In the event of a drunk driving tragedy, most families want answers. Who was responsible? What actions or interventions could have prevented the crash? Who is liable? While an initial investigation may answer some or all of these questions, many victims and their families are left with the next question: should we sue? Of course, no lawsuit is going to reverse the damage that has been done or bring back a loved one; however, civil litigation can hold individual drivers responsible and shed light on the dangers of drunk driving. In some instances, a civil lawsuit will force criminal action in the event that none has been filed. The parents of a Massachusetts teen have been awarded a $2 million judgment against the man who hosted the party the night she was killed in a drunk-driving accident. 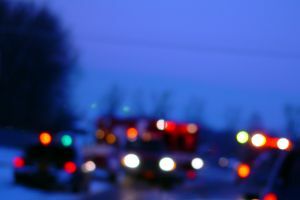 This case demonstrates that in the event of an accident, there are a number of individuals and entities who may be liable, beyond the drunk driver. Our Boston drunk driving accidents attorneys are committed to helping our clients collect maximum compensation. We are committed to ensuring victims and their families pursue justice against offenders and are able to secure deserved financial compensation for their losses. According to reports, a judge has ordered a 23-year-old man to pay each of her parents $1 million in damages after a drunk driver left his house and killed a 19-year-old girl. The victim’s boyfriend was behind the wheel when he sped through two stop signs, eventually rolling the SUV. The driver was 19 and pleaded guilty to motor vehicle homicide and drunk driving. His girlfriend, the plaintiffs’ daughter, was killed in the tragic accident. After an initial investigation, officers discovered that the host of a party had proved booze to the underage driver. He was criminally charged under the “social host liability law” but was able to avoid jail time. The victims’ family filed a lawsuit against the party host and a judge ruled that the defendant owes $2 million for the death of the victim. Attorneys for the plaintiffs argued that the host was unreasonable and negligent when serving the underage drinkers. According to evidence, he served the defendant driver so much alcohol that he was “inebriated” when he left the party. Under “social host liability law” in Massachusetts a host of a party is responsible if a guest leaves the party and causes an accident. In the event of a drunk driving accident, all evidence and circumstances should be reviewed by an independent advocate. In this case, the homeowners are being held accountable for getting their guests drunk and then sending them back on the roads. The case should shed light on the dangers of drinking and driving, as well as serve as a “wake-up call” to young party hosts, teens, colleges, and other individuals or groups that are responsible for hosting a party where alcohol is served. In this case, the family may also be able to pursue coverage from the defendant’s insurance company. An experienced attorney can identify all sources of recovery and pursue any available remedies.